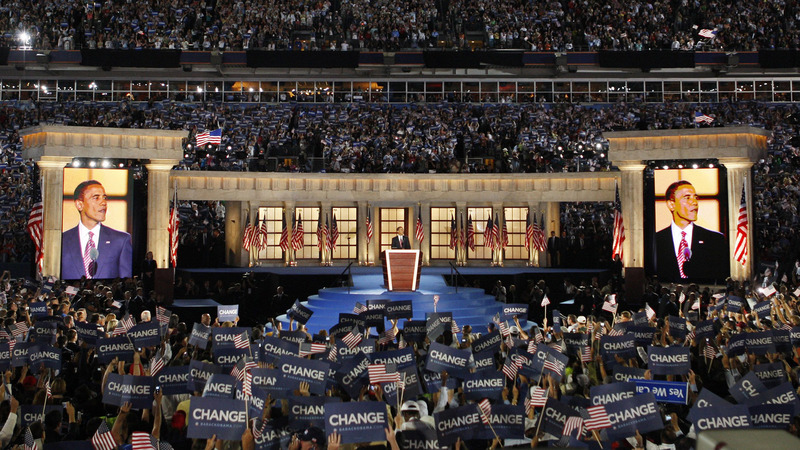 Levinson’s documentary Poliwood exposes the extent to which the 2008 political operatives and their candidates in both political parties manipulated public perception through techniques of made-for-television theatrics, particularly Obama’s Greek, columned stage set for his stadium acceptance speech in Denver. However, 2008 pales in comparison to what we are seeing today in 2016. Donald TRUMP didn’t need a makeover, he was already a media fabrication to begin with, a tabloid character and star of his own reality television show. His epic descent down the the escalator of the TRUMP building in Manhattan set the stage for what was to come: an unceasing torrent of image-making and blatant propaganda magnified through the totalized medium of television and the Net. TRUMP is America’s first social media super-participant candidate personally distributing and redirecting disinformation to millions of followers via Facebook and Twitter. 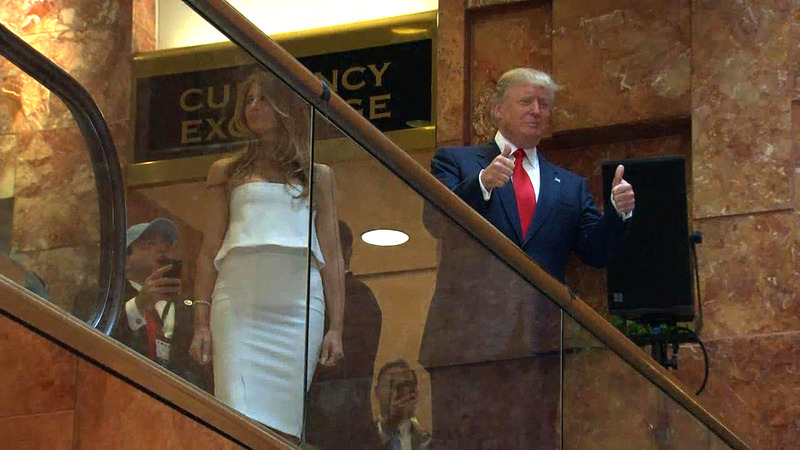 The transition from the Celebrity Apprentice to the first serial episode of his presidential campaign, “TRUMP Descending an Escalator,” was seamless, dramatic, seductive, and devoid of any pretense of the real. Performed in the ultimate reality theater of the TRUMP Tower, the gliding portrait of Donald and Melanie posing for the descent was a mastery of heightened telegenic staging that transcends anything we have ever seen in the history of politics and television. What the TRUMP followers have lost in their immersion in the 24/7 daily diet of the TRUMP Show, is the ability to grasp the real and separate the flow of theatrical hyperbole from the reality of running the country. What we have witnessed, shockingly, is the birth of a new reality television show that the public will continue to binge watch through the summer conventions and into the general election. And just possibly, much to our horror, the next installment of episodes of the TRUMP Show will be televised and tweeted directly from the Oval Office at the White House. I am not talking about another season of The West Wing, which we all acknowledge was fictional entertainment, rather, this is a new reality television show produced by TRUMP himself (let’s call it “The Celebrity President”), which will give the appearance of being all too real as President TRUMP wields the levers of power.